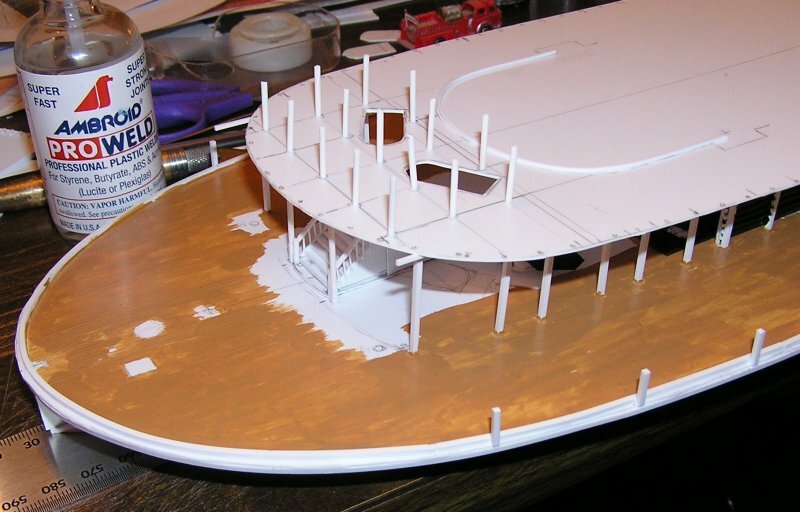 Model boat builder Lee Anne Ward shares these photos of work in progress. N scale (1/160) scratch build of the "J.M. White". I added the towboat "River Stallion" to the photo just to get a contrast in size! The River Stallion was 65' long. Another J.M. White model photo, showing the boiler deck, is attached. Editor's Note: I asked Lee Anne how she got into model building and she answered me in an email earlier this year. 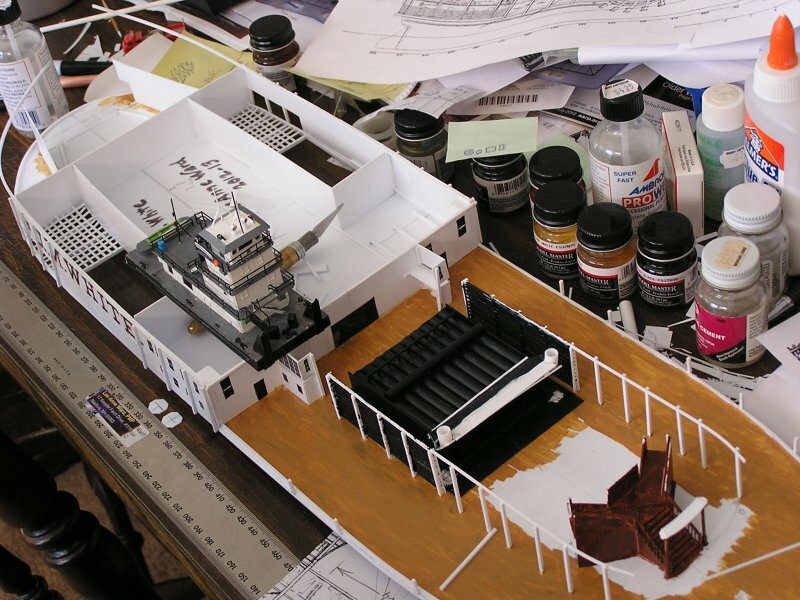 I started doing model towboats about 1966. I build everything now in N scale (1/160) except the radio-controlled boats, which are 1/48 scale. Material of choice is polystyrene. I've been wanting to do the 321' J.M. White for years. I also will be doing the Corps dredge Ste. Genevieve, the Sprague, and a few other large boats. And things as small as a grocery supply boat, the Bonnie-Jill. She was 40'x12', which works out to a model that's 3" x 0.9"!